defined contribution (DC) Advisor Firms. of the American Retirement Association and Editor-in-Chief of NAPA-Net, which compiled the listing. “ . 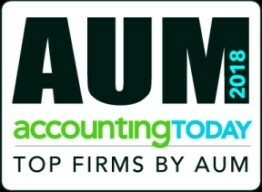 Net, the Magazine, is available online at http://www.napa-net.org/top-dc-advisor-firms/. is the only advocacy group exclusively focused on the issues that matter to retirement plan advisors. (NTSA). More information about NAPA is available at napa-net.org. September 27, 2017 – [Adviser Name] is pleased to announce that [he/she] has been named to the 2017 edition of the Financial Times 401 Top Retirement Plan Advisers. The list recognizes the top financial advisers who specialize in serving defined contribution (DC) retirement plans. [Westborough, MA] – Mark Palmerino, financial consultant and partner at CCR Wealth Management, recently attended Cetera Advisors’ annual awards conference where he accepted the Ensemble of the Year award on behalf of his firm. This team of top producing, seasoned professionals gained this honor by leveraging distinct backgrounds, credentials, and experience to build solid, customized plans and portfolios in the name of clients’ best interests. The annual conference was aimed at bringing together advisors from across the country to celebrate the accomplishments of 2016. The event, held at the Ritz Carlton in Cancun, Mexico, featured presentations from the Cetera executive team and some of the industry’s preeminent thought leaders. Attendees left inspired to continue aiming for the highest levels of professional achievement and success. Another highlight of the conference was Cetera Advisors’ successful fundraiser through Caring Cetera, an advisor-initiated charitable fund (501c3) created to aid advisors and their families during times of personal tragedy, responding to disasters in the communities where Cetera Advisors practices, and to help leave a “generosity footprint” in the communities where its events are held. Thanks to the generosity of attending advisors, over $32,000 was raised during the four day conference. Over half of the donations are going towards El Pozo de Vida, a charity which raises money and mobilizes efforts to fight human trafficking. The remaining contributions will be donated to Caring Cetera to continue helping advisors during times of need. Cetera Advisors LLC is an independent broker-dealer and registered investment adviser (RIA) firm offering efficient and convenient access to an extensive network of people, products and services to financial professionals. As part of Cetera Financial Group®, a leading network of independent retail broker-dealers, the firm is able to offer all the benefits of a large, well-capitalized broker-dealer, including innovative technology, leading wealth management and advisory platforms, and comprehensive broker-dealer and RIA services, with the personal relationships often found only at a boutique firm. Cetera Advisors is a member of the Securities Investor Protection Corporation (SIPC) and a member of the Financial Industry Regulatory Authority, Inc. (FINRA). For more information, visit ceteraadvisors.com. March 30, 2017 – David Borden is pleased to announce that he has been named to the 2017 edition of the Financial Times 400 Top Financial Advisers. The list recognizes top financial advisers at national, independent, regional and bank broker-dealers from across the U.S. This is the fifth annual FT 400 list, produced independently by the Financial Times in collaboration with Ignites Research, a subsidiary of the FT that provides business intelligence on asset management. Financial advisers from across the broker-dealer channel applied for consideration, having met a set of minimum requirements. The applicants were then graded on six criteria: assets under management (AUM); AUM growth rate; experience; advanced industry credentials; online accessibility; and compliance records. There are no fees or other considerations required of advisers who apply for the FT 400. The final FT 400 represents an impressive cohort of elite advisers, as the “average” adviser in this year’s FT 400 has 27 years’ experience and manages $1.7 billion in assets. The FT 400 advisers hail from 38 states and Washington, D.C. The annual conference was aimed at bringing together advisors from across the country to celebrate the accomplishments of 2015. The event, held at the Hyatt Regency Maui Resort and Spa in Hawaii between April 28 and May 1, featured presentations from the Cetera executive team and some of the industry’s preeminent thought leaders. Attendees left inspired to continue aiming for the highest levels of professional achievement and success. Another highlight of the conference was Cetera Advisors’ successful fundraiser through Caring Cetera, an advisor-initiated charitable fund (501c3) created to aid advisors and their families during times of personal tragedy, responding to disasters in the communities where Cetera Advisors practices, and to help leave a “generosity footprint” in the communities where its events are held. Thanks to the generosity of attending advisors, over $100,000 was raised during the four day conference. Almost half of the proceeds were donated to Ka Lima O Maui, an organization that provides job training and placement for individuals with disabilities. The remaining contributions will be donated to Caring Cetera to continue helping advisors during times of need. Cetera Advisors LLC is an independent broker-dealer and registered investment adviser (RIA) firm offering efficient and convenient access to an extensive network of people, products and services to more than 1,100 financial professionals. As part of Cetera Financial Group®, a leading network of independent retail broker-dealers, the firm is able to offer all the benefits of a large, well-capitalized broker-dealer, including innovative technology, leading wealth management and advisory platforms, and comprehensive broker-dealer and RIA services, with the personal relationships often found only at a boutique firm. March 31, 2016 – David Borden is pleased to announce that he has been named to the Financial Times 400 Top Financial Advisers, as of March 31, 2016. The list recognizes top financial advisers at traditional broker-dealer firms from across the U.S. This is the fourth annual FT 400 list, produced independently by the FT in collaboration with Ignites Research, a subsidiary of the FT. Nearly 1,000 elite financial advisers applied for consideration, having met minimum requirements for Assets Under Management (AUM) and experience. 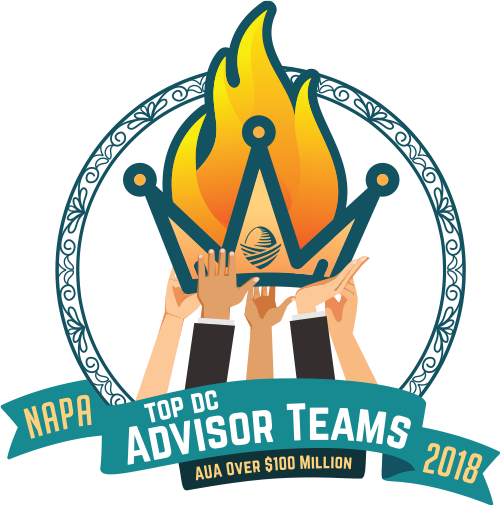 The adviser applicants were then graded on six criteria: AUM; AUM growth rate; experience; advanced industry credentials; online accessibility; and compliance records. The “average” adviser in this year’s FT 400 has 26 years’ experience and manages $1.6 billion in assets. The FT 400 advisers hail from 38 states and Washington, D.C. The FT 400 is one in series of rankings of top advisers that the FT developed in partnership with Ignites Research, including the FT 300 (independent RIA firms) and the FT 401 (DC retirement plan advisers).